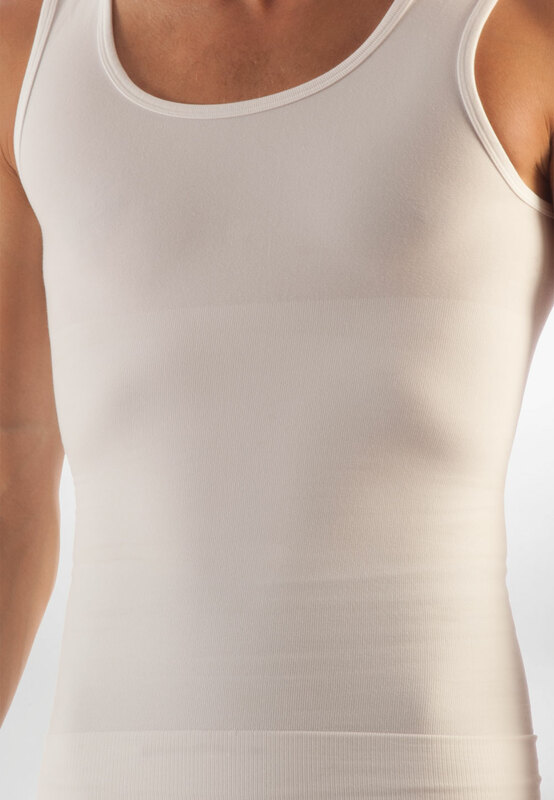 Men’s high performance abdominal compression tank made from four-way stretch cotton blend provides you with sculpted compression for your abdominal area. Helps maintain good posture, provides lower back support and maintains a flat stomach and sculpted waistline. Seamless construction and a body hugging design give this shirt a super low profile that is virtually undetectable under regular clothing. The integrated extra-wide double layer waist band shapes and supports critical lower back and lower abdominal areas. Super control fit maintains full range of motion and provides maximum comfort that won’t slow you down. Wear it as an everyday undershirt or as a base layer for outdoor activities, athletics and extreme sports. Easy care fabric, just gently hand wash in cold water with mild soap and lay flat to dry.